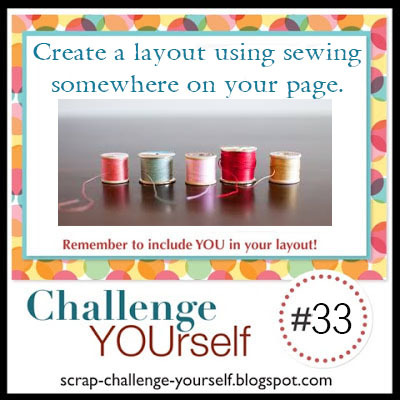 Patricia's layout: Challenge yourself, sewing on the page! Challenge yourself, sewing on the page! On Challenge yourself this month a wonderful challenge! I've made a page with a picture of our brother and sisters, with our mom who's 84! Made doilies with a bo bunny die, and stichted them to the page. Have a super nice weekend! Patricia, your layout is absolutely gorgeous! I love the family photo so much, and I especially love the way you added stitching to your page. It is so pretty and creative! Thank you! !